I am a passionate self-taught [software/site reliability] engineer, a father to two lovely kids, a husband to an amazing wife, supposedly a geek, a caffeine junkie, a food lover, an open source/free software believer, and in a love/hate relationship with running. Originally from Cairo, Egypt. Currently living in London, United Kingdom. You can check my resume, jump to the bottom of the page to contact me, see what I managed to do last year, check my 2019 resolutions, or hang around and check the rest of information on the page. Egypt's Power Grid Load Status As A Web Service. A service parses the data in the Load Meter provided by The Egyptian Electric Utility and Consumer Protection Regulatory Agency (EGYPTERA) and presents it in a more human friendly way. It also provides an API so other developers can build other web and mobile applications on top of it. At work, long time ago, we had to track our working hours on Toggl (www.toggl.com), so I created this small project to calculate how many hours I should work to achieve my monthly goals. Dir2Html is a python utility that generates an album html page out of a directory, using Bootstrap album example. 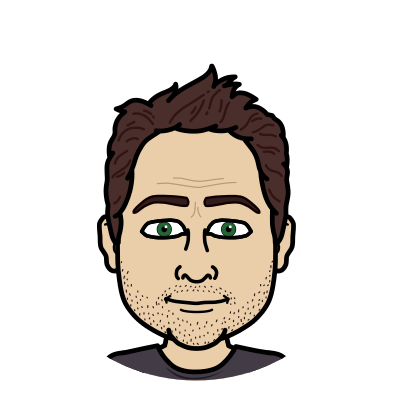 You can see my bitmoji album generated using the tool. A firefox addon, for the tab addict, to close all tabs with a domain name. For example, if you have many facebook tabs open and not in order, you can just use this addon, write "facebook.com", hit enter and voila, all facebook tabs are now closed! Code is on github. The best of the internet for Arab users! A platform that collects and aggregates interesting content for Arab internet users. You can find more on either my English blog, or my Arabic blog. - Data Structures and Algorithms in Python, by Michael T. Goodrich, Roberto Tamassia, and Michael H. Goldwasser. - Understanding the Linux Kernel, 3rd Edition, by Daniel P. Bovet, and Marco Cesati. - Systems Performance: Enterprise and the Cloud, by Brendann Gregg. - Designing Data-Intensive Applications, by Martin Kleppmann. - Advanced Linux Programming, by Mark Mitchell. - Linux Kernel Development, by Robert Love. - The Go Programming Language, by Alan A. A. Donovan, and Brian Kernighan. - Cracking The Coding Interview, by Gayle Laakman. If you want to buy me a gift, a book from my technical book wishlist would be awesome! - The Art of Strategy, by Avinash K. Dixit, and Barry J. Nalebuff. - The Tipping Point, by Malcolm Gladwell. - Outliers, by Malcolm Gladwell. - The Everything Store, by Brad Stone. - The Pixar Touch, by David A. Price. - The Start-up of You, by Reid Hoffman, and Ben Casnocha. - The Hacker's Diet, by John Walker. - Marathon: The Ultimate Training Guide, by Hal Higdon. Here is my non-technical book wishlist. - CS107: Programming Paradigms, by Stanford Center for Professional Development. - 6.824: Distributed Systems, by MIT. - CS144: Introduction to Computer Networking, by Stanford. - Introduction to Databases, by Stanford. - 6.00.1x: Introduction to Computer Science and Programming Using Python, by MIT, on edx.org. - Basics of Software Architecture & Design Patterns in Java [Not free], By Holczer Balazs, on Udemy. - 6.004: Computation Structures, by Chris Terman from MIT. - Computer Architecture, by Carnegie Mellon. - CS162: Operating Systems, by Berkley. - 6.042J: Mathematics for Computer Science, by Tom Leighton from MIT. - Python Path [Not free], from PluralSight. - Grokking the System Design Interview [Not free], by Educative. - CS436: Distributed Computer Systems, by University of Waterloo. - 6.172: Performance Engineering of Software Systems from MIT. - Notes from Production Engineering by Pedro Canahuati at SREcon15. - Production Engineering at Facebook [Arabic] by Ahmed Soliman at FB Developer Circles & Egyptian Geeks Meetup. - You Look at it till a Solution Occurs by Brandon Rhodes at Pycon 2017. - Secret History of Silicon Valley by Steve Blank. - Python Epiphanies by Stuart Williams. - The Origins of Linux by Linus Torvalds at the Computer History Museum. - Linux Performance Tools by Brendan Gregg at Velocity. - Give me 15 minutes & I'll change your view of GDB by Greg Law at CppCon 2015. - Transforming Code into Beautiful, Idiomatic Python by Raymond Hettinger at Next Day Video. - TCP Tuning for the Web by Jason Cook at Linux Conference Australia 2014. - Modern Dictionaries by Raymond Hettinger. - An Introduction to Linux IPC Facilities by Michael Kerrisk at Linux Conference Australia 2013. - Intro to Architecture and Systems Design Interviews by Jackson Gabbard. - Beginners Guide to Containers Technology and how it actually works, by James Bottomley. - Go development with vim-go by Fatih Arslan at DigitalOcean NYC Meetup. - Building a Bank with Kubernetes by Oliver Beattie at kubecon. - Cloud Capacity Planning by Andrew Park at SouthBay SRE. - Getting Started with SRE by Stephen Thorne, from Google. - Scaling Instagram Infrastructure by Lisa Guo at QCon 2017. - The RED Method How To Instrument Your Services by Tom Wilkie. - Cloud Performance Root Cause Analysis at Netflix by Brendan Gregg. This website is hosted on Dreamhost.